This is not a comprehensive review. North American arms did not send the PUG here for evaluation. Now what I would say is that this pistol is very well made; However, it is a backup’s backup gun. What I seek to do in this video is to give you an idea of the characteristics of the firearm, and what the capabilities this little micro .22 Magnum mini Revolver brings to the table. Through this we can support the premise that pocket pistols are not for self defense. 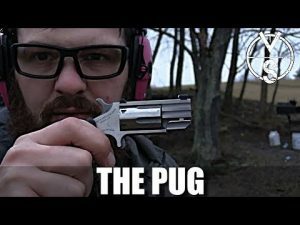 The North American PUG is a fun range toy but If you choose to use this for concealed carry we highly suggest that you attend a real training course and spend less time playing PUBG. Rifle-Caliber Pistols for Self Protection?